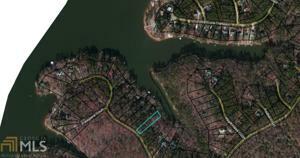 Waterfront building lot in Turtle Cove on Jackson Lake. Look across cove to forest land....not houses. Priced to sell. Jackson Lake Rd. To Eagle Dr. Lot on Rt. Look for Blue signs. This listing data is current as of 04-23-2019 02:25 UTC. This property was still available as of 04-23-2019 02:25 UTC.